Bought new from us in 1988, this Colorado-only piano has been meticulously cared for and maintained. 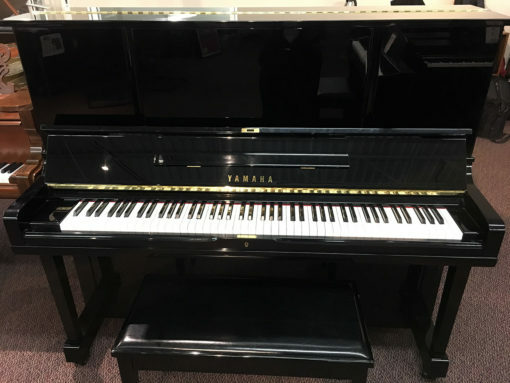 Yamaha’s top-of-the-line piano in the late 80’s and early 90’s, this piano features a sostenuto pedal, upgraded hammers and a unique star shaped back frame to better balance the overall string tension. The perfect piano for those considering a YUS3, YUS5 or a U3, at a more affordable price.